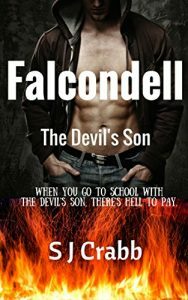 Grace Gray is sent to Falcondell High to finish High School with her cousin Gabe as her protector. She has moved around all of her life and longs for a normal life. Unfortunately for her she is far from normal and has to join the “Invisibles” in order to pass through the year unnoticed. Nobody must discover her secret. 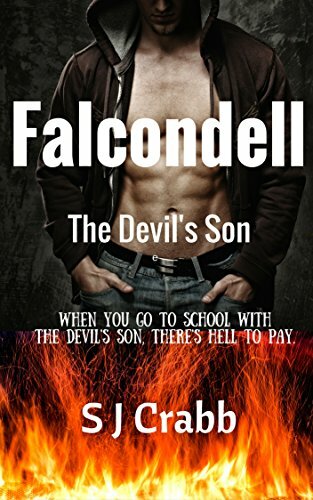 The hottest, meanest, most evil bad boy that you could ever wish to meet in the school though has other ideas and is used to getting his own way. Ash Knight lives with his uncle who controls the Town through fear. He is the leader of the most feared gang in the area and nobody gets in their way. Ash lives with his uncle but spends his holidays with his father. When Grace comes to Falcondell Ash finds himself in unknown territory. They say that opposites attract but this relationship is the stuff of nightmares for everyone involved. They will have to not only battle their own feelings but those of their families and friends. Will Grace’s guardians allow them to be together or will she once again be moved away for her own protection? Ash also discovers something that turns his world upside down and they both end up fighting for a lot more than each other. Can somebody who is so good ever be with somebody who is completely evil? Ash and Grace are at opposite sides of the spectrum and this year changes them both forever.